False Flag -- A horrific, staged event, blamed on a political enemy and used as a pretext to start a war or enact draconian laws in the name of national security. I find it hard to believe that one lone wolf terrorist shot and killed 50 people and injured another 50.. Supposedly the mass shooter Australian Brenton Harrison Tarrant murdered 50 Muslims – 42 at the Al Noor Mosque and 7 at the Linwood Islamic Centre (5 kilometres, 3 miles from the Al Noor Mosque) on 15 March. The name of Brenton Tarrant and pictures of him are all over the internet. 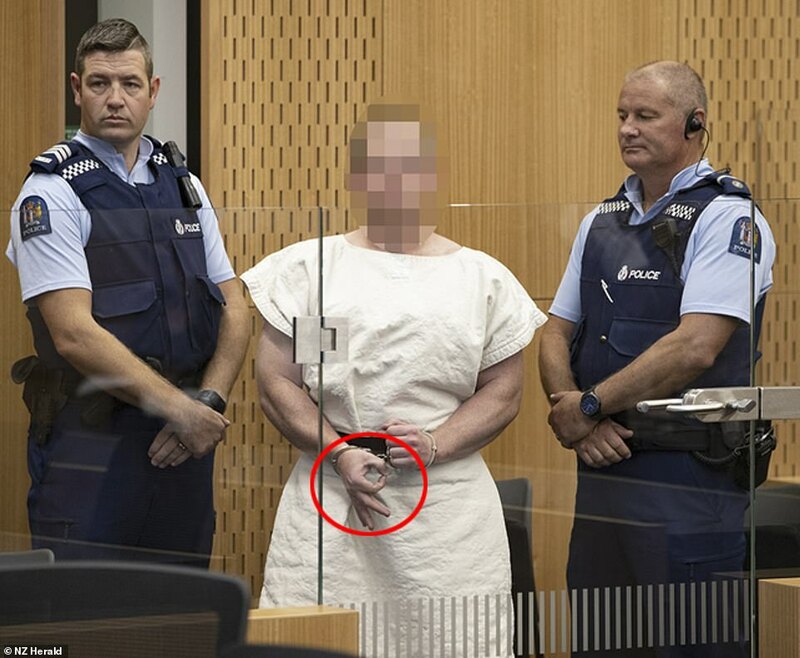 Many people have pointed to the Masonic hand sign, but not many think it’s strange that the judge ruled that pictures of him in court must have his face blurred. Brenton Tarrant must be the strangest “extreme right” Muslim mass murderer ever. He seems an admirer of the “Communist” regime of North Korea. Because of the countries Tarrant visited he looks more like a Muslim lover than Muslim hater! In the last 2 years alone he reportedly visited “Muslim” countries: Bosnia-Herzegovina, Pakistan and Turkey. He also travelled to Montenegro with more than 19% Muslims. Last October Brenton Tarrant even wrote: "Pakistan is an incredible place filled with the most earnest kind hearted and hospitable people in the world". Last edited by Firestarter on Fri Mar 29, 2019 3:49 pm, edited 1 time in total. In a strange twist, it has been reported that Tarrant recorded the shooting at the first mosque and live streamed it (17 minutes long). 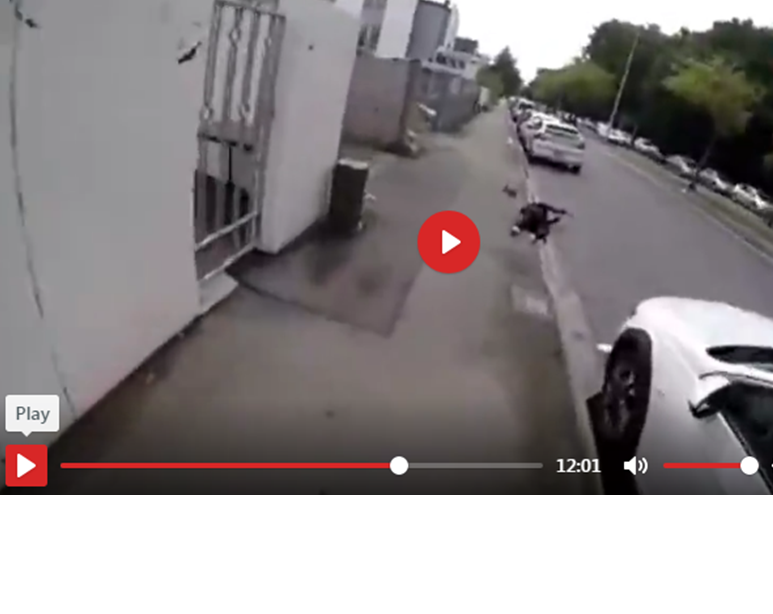 In New Zealand people have been arrested for spreading the video. Because the software isn´t able to, basically no faces can be seen. Besides the bearded CGI in the black shirt from 10:54 – 11:05. 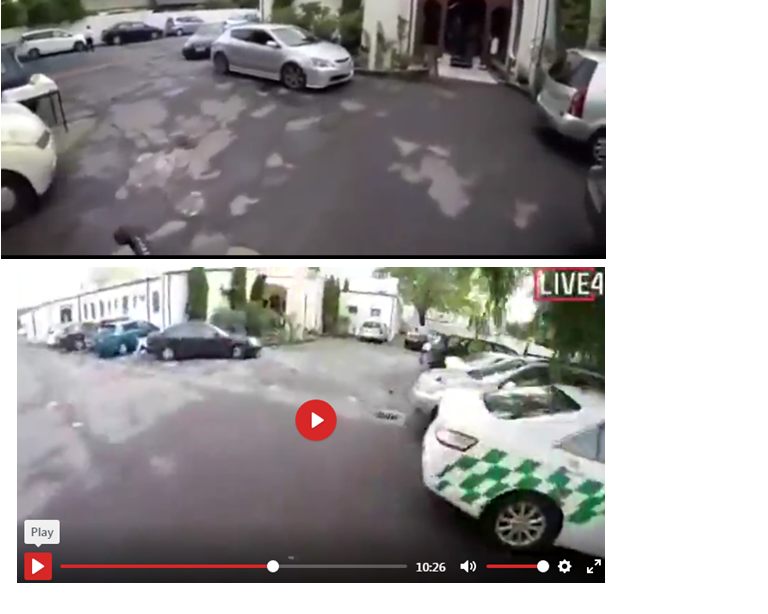 From 6:35 to 6:42 Tarrant starts firing inside the mosque courtyard. 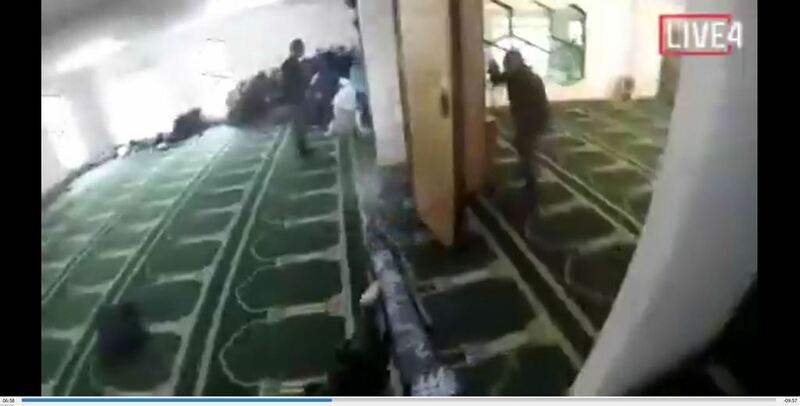 At about 6:49, Tarrant enters the the hall of the mosque and begins shooting inside - the victim who falls in the hallway, has feet that look red (because of the “quality” of the video it´s impossible to tell more). 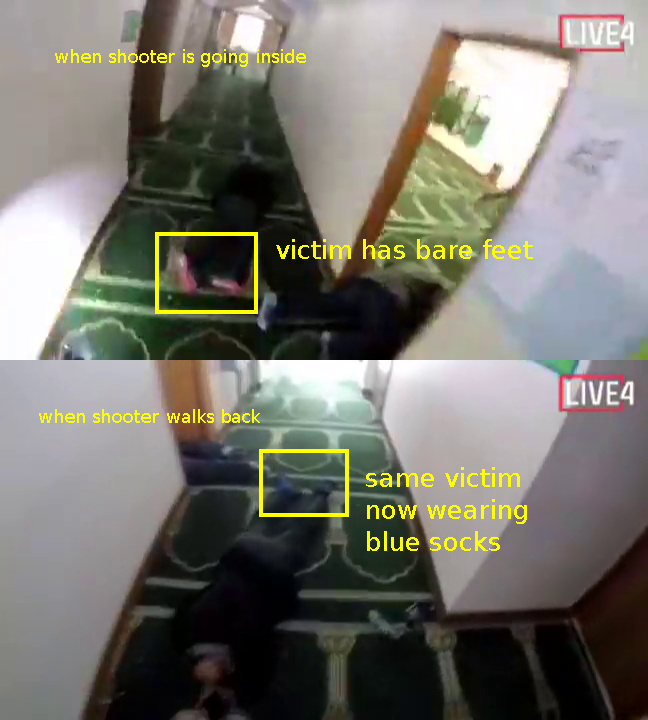 At about 8:41, when Tarrant goes back the same hall ... the victim has blue socks on. At 6:52 a magazine for his gun can be seen on the floor ... how dit this get here as this is the first time he enters? Tarrant will pick this up and load it at 8:32. At 6:57 Tarrant enters the large room, immediately fires to the right. In both corners already bodies are piled up. Nobody moves. Regularly the computer isn’t able to picture the print on the carpet. After Tarrant has gone to the hall to reload (why?) at 7:36 he again enters the large room to shoot. At 8:00 Tarrant for the first time reloads in the large room. 8:44 - Tarrant leaves the mosque. From 8:56 to 9:09 Tarrant shoots on the street; the shells from his gun disappear in mid air. Tarrant gets another gun from his car. When he goes back to the mosque, at 9:52 a silver car can be seen neer the front door. When he walks to the door at 10:25 this car has disappeared. 10:49 Tarrant enters the large room and is firing again. 10:54 Tarrant approaches the "victims" on the right corner of the room and fires at close range. None move and no faces can be seen. Pay close attention to the man in the jeans, black shirt, with both hands on his stomach, heart. At first he doesn’t have a head (the perspective is all wrong)! There are also some women (?) in a strange position on a couch (?). Again the faces can´t be seen, but the CGI with his hands clasped in his lap still only has the lower part of his face. 11:46 to 11:48 Tarrant shoots at two CGIs as they exit the courtyard through the fence. At 11:52 exits the courtyard when only one of the CGIs is lying on the ground (where did the other go?). When he closes in this appears to be a young woman (who was in the mosque?). The Muslimas are very civilised; even with a madman killer shooting at them they still found the time to close the door in the fence (also note the 2 black spots that later turn out to be shoes)! 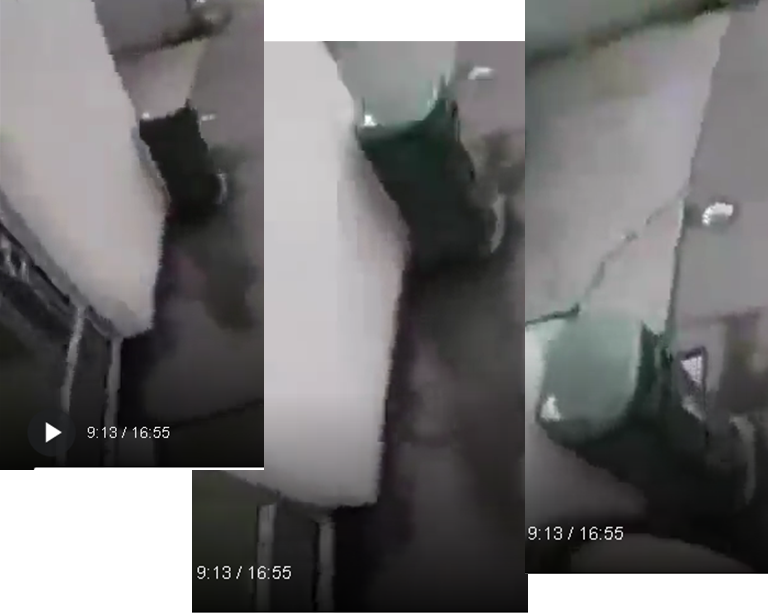 I’ve discovered another glitch at 9:13 in the live shooting video – the dark green, bollard between the door in the fence and the spot where the shooter parked his car. This is also strange, after Brenton Tarrant had already been shooting, he reloads in the hallway. When he first enters the large room, at 6:53, he turns to the right, where 2 Muslims are standing, waiting to get shot. This is right before some Muslim charges him from the left, which he shoots and kills and goes back to the hallway with some strange light effects?!? 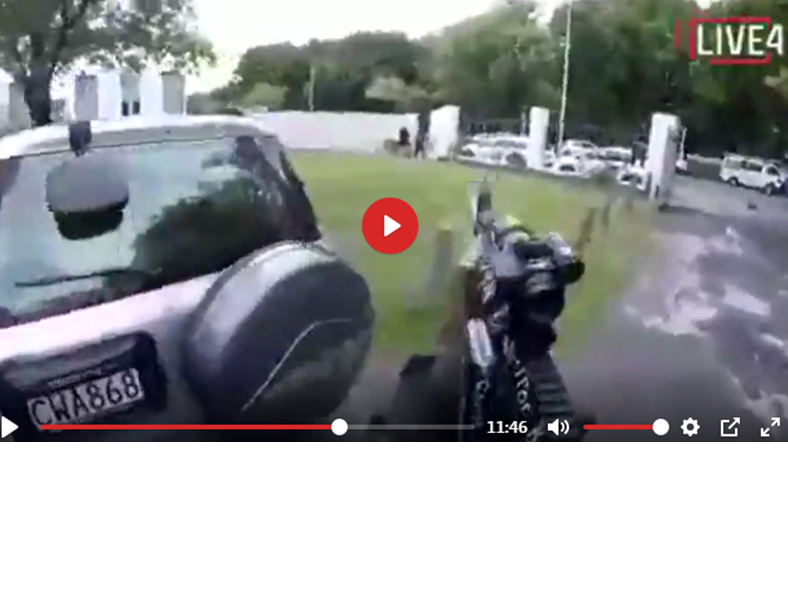 After he gets in his car, Tarrant shoots several times through the windows (the timestamps could be off by a second). 12:49 - first shoots through the front windshield. 12:52 – second shot through the front windshield. 13:11 – third shot through the front windshield. At 13:20 – a fourth shot through the left, side window, which shatters. Also the following CCTV video footage has been released (looks much better than the body cam). At 0:17 a first shot can be heard, and a second at 0:20. This is replayed at 0:34 and 0:37. At 0:57 the third shot is heard. This video isn’t continuous so this could be possible. What isn’t possible though is that in this video at 1:21 the shooter beeps his horn before firing the fourth shot that injures one of the Muslims. This doesn’t happen in the body cam 17 minute video. There is also an impossible delay between the puff of smoke from Tarrants passenger window and the time the gunshot is audible. 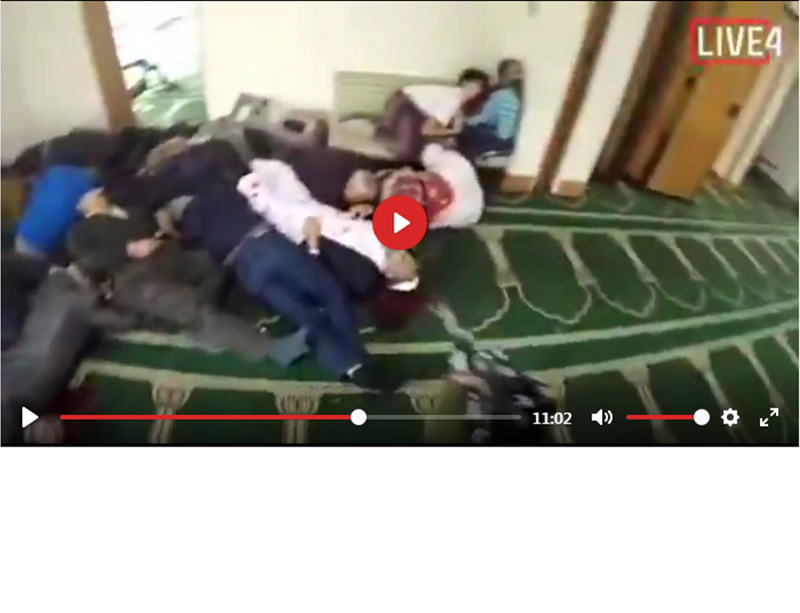 I noticed that most of the bodies in the mosque, wear dark colours. On Friday, I regularly see Muslims walking in some traditional looking, religious clothing that is often light coloured - white, light brown, beige. 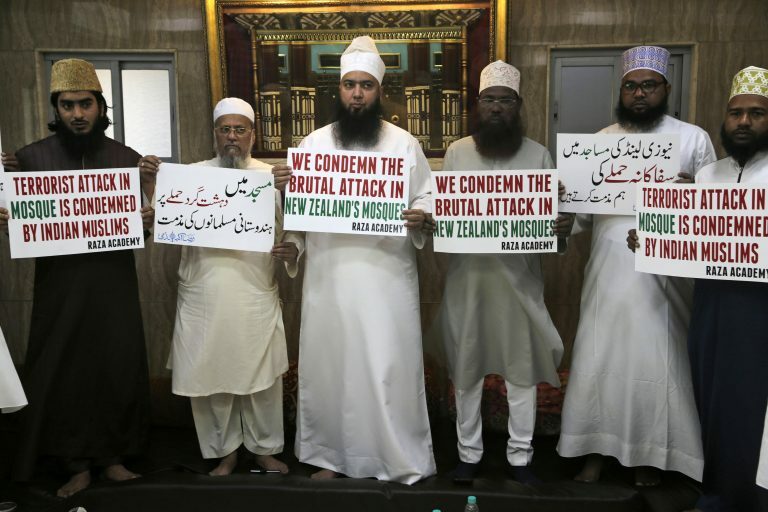 See for example the following Muslims protesting in New Zealand. I expect that if a madman fires a massive amounts of bullets, the first cops would arrive in something like 2 minutes after the first shot, and within 5 minutes the place would be swarmed with police. 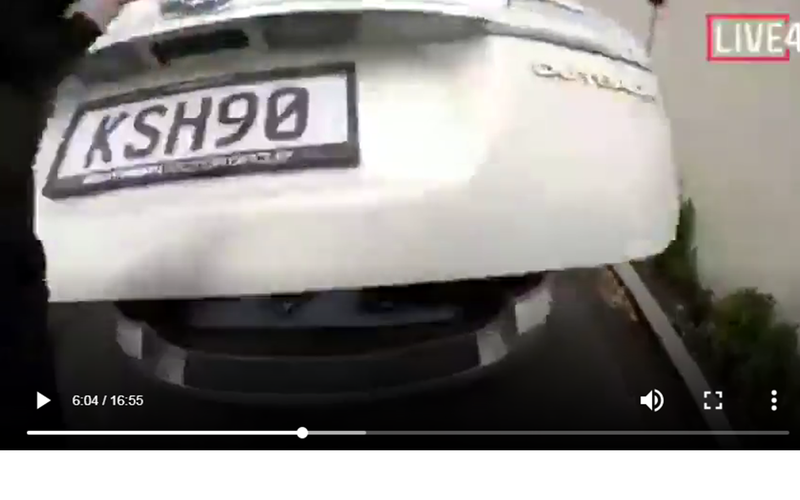 The car used by the shooter in the bodycam video has license plate KSH90. Was it sprayed silver at one time or have I found another mistake?! ?